I would strongly suggest asking your vet about its safety in small animals such as rabbits and research giving it, if not asking for a different antibiotic. It honestly doesn't sound like a seizure to me, it sounds like a spasm of some sort, possibly from pain or something neurological? It's hard to tell. You can email me the link to your picture, I can post it for you. Please read the thread stickied at the top of this forum regarding malocclusion. When it's gone into the sinuses, it's quite painful and difficult to treat. Best wishes for you and your chin. Last edited by Jade; 01-04-2012 at 05:04 PM. I read sticky about malocclusion before i made a thread. I also made it on chins-n-hedgies (hope its not against the rules) and there they also said the vet shouldn't have given him those meds. Im interested now mainly about how does xray look to you ? How bad is it, and is it to early to think about euthanization ? Its look like the vet is a bad one. So is his statement about sinuses even true ? How can i know if my chin is in pain ? If he eats, drinks, poops, pees, is taking a dust bath, running and jumping against the walls could he still be in serious pain ? 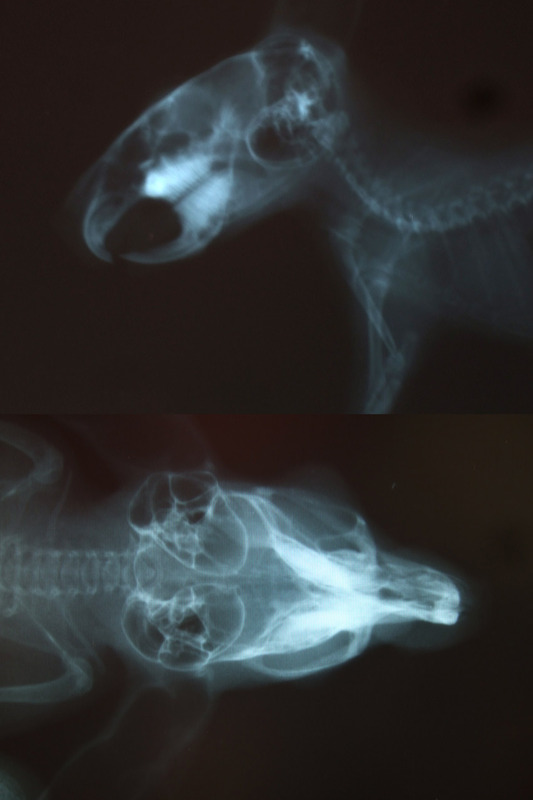 Honestly it's hard to say with that x-ray, as it isn't a good still shot, it looks like the chin moved. I can see the part where the vet thinks it's in the sinus cavity, but I am not a vet so it's difficult to make any sort of recommendation. Chinchillas are prey animals. They are genetically programmed to hide pain, because pain equals weakness to predators. It's very difficult to know when they're in pain, unfortunately. I would probably seek a second opinion, it doesn't look like advanced dental disease to me and I would want a more knowledgeable vet to take a look. I realize that may be difficult given your location, you may have to go on your gut feeling and how many good days versus bad days your chin is having.